You read it right… I said “New New Donors”. Professional fund development executives for decades have known the importance of NEW donors. Charities without a new donor acquisition budget are doomed to fail. Of the more that 2 million charities registered with the Internal Revenue Service, more than 272,000 shut their doors last year and the key reason was that they did not have an acquisition program for acquiring new donors. People who start charities assume that all the donors they have each year will just automatically “re-up” the following year and growth will happen by word of mouth alone. Nothing could be further from the truth, every charity has an attrition rate – the number of donors who gave in a previous year, but not the current year. A good development pro knows to first look at the attrition rate, determining how many donors lapsed in their giving. This formula will then tell her how many new donors they need to acquire this year in order to: (1) stay the same size by simply replacing attrition and (2) grow organizational revenue by exceeding the attrition number with more new donors. Organizations who do not have a line item in their budget for for new donor acquisition are doomed to fail… there is a cost to acquire a new donor! However, remember, over the next year and ultimately over the next five years, new donors will pay for themselves and net huge income for your charity. For years direct response has driven new donor acquisition efforts either in the form of direct mail for the average charity or DRTV (televised infomercials) for the BIG charities. However, today, the internet is playing a unique role in acquiring and renewing new donors. Charities are seeing that donors who respond to search engine markeing on line and then are cross-channel marketed through direct mail are 3 to 5 times more valuable to the organization. Even more amazing, the opposite is true. Donors who were acquired by direct mail dramatically increase the amount they give per year if they respond on line. The “New-New” donor is the person who gives in multiple channels to their favorite charities. They give higher average gifts and more frequently. Getting donors to give in mulitple channels is a critical new benchmark for increasing long term donor value and reducing attrition. Multi-channel giving happens organically with your best donors. If you don’t believe me look at your top 10 individual givers… I’d be shocked if your best donors give by mail once or twice; on line a time or two and at an event or by white mail. What is new is using cross-marketing techniques to get your best donors to begin giving in multiple channels. Charities who are on top of technology are getting on line acquired donors to give in the mail and encouraging mail acquired donors to give on line. Of course, both groups at pushed to attend events, volunteer and recruit their peers. Cross-channel fundraising is the key to integration. I challenge you to go find some “New-New” donors. Integration is the shinny new thing in fundraising. Integration builds upon the advertising technology pioneered in the 70’s and 80’s we called direct response marketing (DRM). Direct advertising is based upon creating a process to communicate directly with the customer (or donor) and, most importantly, capturing the customer’s contact information so that they can be re-solicited in the future. The process today integrates multi-channel communications and advertising techniques that can include a mixture of: catalogs or magalogs, cell phone and land line calling, emails, free standing inserts in publications, flyer distribution, online websites, letters sent to home & business addresses, newspaper/magazine advertisements, outdoor advertising, radio advertising, targeted television advertising and text messaging. It is also called Direct Response Advertising, Direct Marketing, Direct Response, Direct Response Marketing, DRTV, DRM, or simply, DIRECT. During the 1970s, 80s and 90s donors were grouped and measured by each of these channels individually and rightfully so. If a donor or customer came onto your file by phone in nearly all cases they only renewed or bought again by phone. If a donor or customer responded in the mail, they rarely, if ever, responded in any other channel other than mail. Today, the advent and maturation of the internet as a direct response channel has changed all the rules. The ease of ordering, combined with the fact that people now trusted the web as THE place to process their purchases and donations “integrated” or merged all the channel to drive transactions to the web. Note that the internet and the “world wide web” does not stand alone as the driver or source of the orders and donations. The internet has become the portal for processing and while some responders make buying decision based solely upon their web-based research, the majority of responders use the web to transact business, regardless of the channel that drove them to the website. Integration meshes all the techniques together and allows the donor to go on line and give when triggered to do so by TV, mail, phone, email, on line search or banner add. The fact is that integration is producing better donors than the stand alone silos of the past. A donor who gives in multiple channels will give 25 to 50 percent more per year than a donor who just gives in the mail only or on line only. The goal of your fundraising program today should be to get as many donors as possible to donate in as many channels as possible. Stop siloing your communications and start giving your supporters more options for giving. The quickest way to double your overall charitable income is to encourage as many donors as possible to give both on line and in the mail or at an event. Multi-channel giving is what integration is all about! Well it’s that time again? Another new year and with it another crop of “New Years gurus” spewing the end of the direct mail fundraising industry… we’ve heard it all before: “the internet has ended direct mail”; “social networks have replaced direct mail”; “postage price increases have killed direct mail”; “paper manufacturing costs have crushed the DM industry”. The list could go on and on. What the New Year gurus fail to understand is that it is not an “either or” scenario. It is not direct mail versus the internet. It is direct mail AND all the other channels of giving. DM and the web now work together for the donors convenience. Make no mistake about it, direct mail is changing. There are fewer donors using the preprinted DM reply devices and reply envelopes. America’s top non-profits are now reporting that between one-quarter and one-third of all direct mail responders use the charity’s web site as their response device. No other channel drives more gifts to your website than Direct Mail! If you are not doing a “match back” of your internet gifts against your mail file you may be missing a very important metric in measuring the success of your fundraising program. The best charities even track the the day the mailing arrives in home and the day the donor goes on line to make their gift. The spikes correlate almost to the hour the postman reaches out and places the mail in the donors mail box. In addition you should know that the more zeros on the check the more likely it is that the donor will NOT use the preprinted reply and envelope. If you track major gifts that come in on-line, by a phone call or white mail (the donor’s own envelop, not the pre-printed reply envelop) you are going to see that the date of the donation is usually within 72 hours of the in-home date of your last direct mail piece. Donors making bigger donations of $500, $1,000, $5,000 or more often DO NOT USE the pre-printed envelops that they are given with the direct mail piece. Many “experts” fail to look at giving the same way as the donors do. Development professionals have been trained to measure the results… as independent channels. The fact is that over the last decade this is not how fundraising happens. Most people who give online also give through the mail and people who give in the mail also give through other channels. Any fundraising “expert” saying that ALL giving is shifting to the internet because it’s the new technology is absolutely wrong. When people give on line it is no more about the technology as saying when people give in the mail it is because of the paper. There are multiple reasons for why donors give through multiple channels. I tend to believe it is simply convenience at the point of contact. It can be the time of year. It can be dollar amount of the gift. There are a huge number of other reasons why people give through multiple channels. 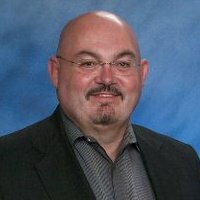 I met recently with the president of a not-for-profit who shared that “we are going to stop using the mail entirely and move to digital communications exclusively.” After falling off my chair (for the dramatic effect, of course) I shared with him that he was about ready to “deep six” his organization. He changed his mind after our discussion about integration of mail with the internet. 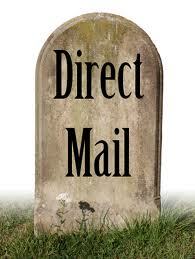 If you are about to accepted another New Years guru’s pronouncement that “direct mail is dead” be careful. Donors need to be given options so they can make a choice for the best channel to process each gift. When you limit the number of ways to give you are telling your supporters “give my way or give your money to someone else.” Rest assured, many donors will just head down the road to their next favorite charity. The best executives strategically plan for a “yearend balance-the-books” appeal and reach out to their best donors for one last year-end gift. Be cynical if you want, but if your year was like most not-for-profit organizations you are behind in achieving your financial goals. You’ll soon have had to make some tough decisions about next year and the fact is that unless a few of your best donors step up to make just one last yearend gift you may be forced to cut vital services and programs. Now is the time to be direct with our best donors. Sometimes the truth works! Tell them that fundraising has been slow and you need their help so that you do not have to cut vital programs next year. Take immediate steps to insure that your ministry or charity can have an extra “payday” this year. Do not delay. Look at every revenue stream you have and see if you can make one last appeal to remind donors and supporters that it is not too late to have an impact. The gift they make could be the difference between your organization continuing vital services or being force to turn those in dire need away. Major Donor Letter. Send a hand addressed, multi-stamped, first class letter to your major donors telling them of the “year end crisis” you are faced with. Include a reply envelop with live stamped first class postage. This tells the donor that this is not some “fund raising ploy”. The challenges you face are real or you would not have gone to the expense of writing them and sending it first class with a First Class return envelope. I have seen many organizations do a 10 to 20 percent response rate during the last 10 days of the year. Direct Mail Letter to Regular Donors. Now is the time to send that “Urgent Gram” to your regular (those that give under $1,000) direct mail donors. If you ever had a “real reason” to send that year-end crisis appeal this is the year to do it. Trust me, it is worth squeezing in one last pay day. Push your January appeal out a week or so later and create a hole in your mail schedule so that the Monday after Christmas your “year-end” appeal is in home. I have had a unique career. I have worked as a vice president of philanthropy, a director of development, and a major gift officer. Today, I advise non-profits and provide training and support for growing their organizations. I love sharing what I’ve learned first hand from the experiences I’ve had with thousands of finanicial partners (a.k.a. donors) and with the marketing programs used identify and communicate with them. After sometime passes, I expain that over the last year I worked with a charity where we made a remarkable difference in income by meeting with financial partners… I have personally met with 117 families over the last 12 months. Of course, I always thank them for their support. Then I listend to why they give and tailor an “ask” based upon their desires, not mine. Are your donors climbing the ladder? As you identify donors who give or have 4-figure and 5-figure capacity your organization must put a plan in place to meet them personally. You must thank them and, as importantly, ask them personally. So often the thought of carving out time to meet with donors seems like an impossible task for development directors and executive directors. My recommendation is to simply begin where you are… decide how many meetings you can do a week or a month and then DO IT! 100 cups a coffee a year will transform your charity. I challenge you to try it!